The 2008 Open de España winner started the week 115th on The Race to Dubai, with only the top 110 after the tournament at Lake Karrinyup retaining their playing rights for 2014. Despite finishing bogey-bogey, Lawrie carded a closing two under par 70 to finish in a share of 18th with Michael Hoey and keep his card with €5,274 to spare. A cheque for €16,523 was enough to move Lawrie into the all-important top 110 (109th), but former European Tour winners James Kingston, Oliver Fisher, Fredrik Andersson Hed and Richard Finch as well as Waterville’s David Higgins (73 for 115th in the Race to Dubai) were not so lucky. Kingston was leapfrogged after missing the cut, while top-ten finishes were not enough for Finch or Andersson Hed and Fisher missed out after finishing tied for 18th when he needed to be in the top seven. 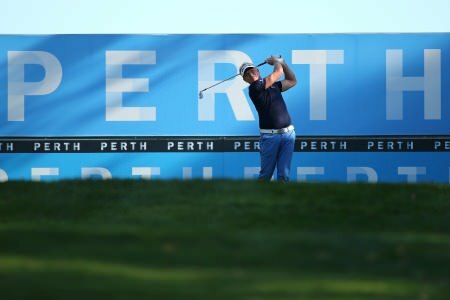 They now face a trip to Qualifying School in Spain next month, but Lawrie can rest easy after an exhausting couple of months that saw him miss six cuts in a row before finally reaching the weekend in Perth. “I’m just glad it’s over to be totally honest with you,” Lawrie said afterwards. “I’ve never felt so much pressure as the last eight weeks: can’t sleep, can’t eat properly, it’s just horrendous. I wouldn’t wish it on my worst enemy. “I got off to a great start, so it wasn’t that much pressure, but jeepers, just coming down trying to get the job finished without making a mental error or doing something stupid, even finishing bogey, bogey. “Finishing anywhere in the 20s I reckoned was going to get me to keep my card, but it’s not easy, I can tell you that. It is not easy. Higgins had no complaints after missing out on his card by €13,000 following his share of 56th. “Disappointed obviously, but it’s where we are now,” Higgins told European Tour Radio’s Nick Dye after a closing 73. “Yesterday I played okay and hit a few silly shots. It is just very frustrating that’s all. [Once you make the cut] you think, shoot a couple of 68s, but it didn’t happen. 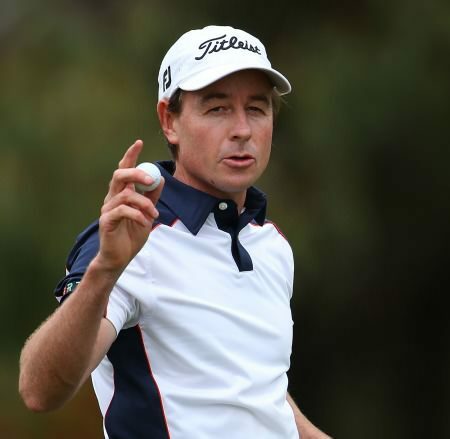 Handed a golden opportunity to save his card following his runner up finish in the Italian Open, Higgins had no complaints after missing the cut in the Alfred Dunhill Links and then coming tied 57th in Portugal and 56th in Australia. “Look, I had three goes after Italy and I didn’t do it, so it’s my own fault,” Higgins said. “But I still played well there so it proves I can do it, so we will try again. As for the tournament winner, Jin Jeong defeated Ross Fisher in a sudden-death play-off to win a dream ticket to The European Tour. 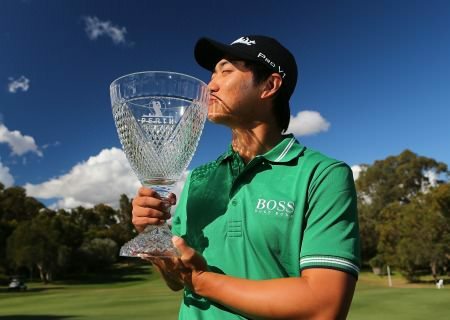 The 23 year old Korean started the day one behind home favourite Brody Ninyette, but made a nightmare start to his final round at Lake Karrinyup with a four-putt double bogey before recovering to shoot a three under par 69 and match Fisher’s ten under clubhouse target. On their return down the 18th for the first play-off hole Fisher caught a flyer with his approach and went through the green, leaving Jeong two putts to sew up the title. “I was nervous, I was shaking but I controlled myself pretty well all day I thought,” said former World Amateur Number One Jeong. “I don’t know what I’ve done to be honest. “I was struggling quite a bit when I was turning pro, but it was going to happen in the learning circuit I guess. Jeong, who has featured on The Challenge Tour this season, had recently progressed through the First Stage of The European Tour Qualifying School, but now earns a two-year exemption to The European Tour. “I was going to go back to Q School Second Stage the week after next but I guess I don’t have to anymore,” he added. 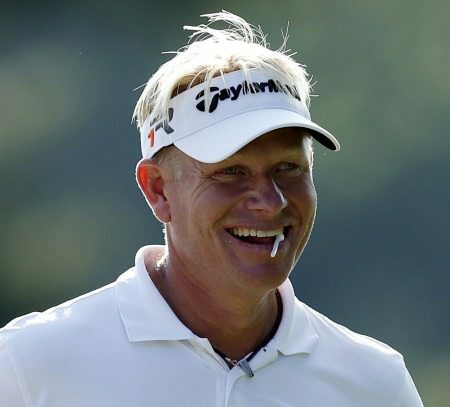 Former Ryder Cup star Fisher consoled himself with a runner-up cheque that sees him climb into the top 60 of The Race to Dubai and should qualify him for the DP World Tour Championship.